On February 26th, 2015, the FCC gave their approval to a series of strict new rules designed to protect Net neutrality and the open Internet. While the full text of the rules have yet to be published, the most important takeaway is that broadband internet has now been reclassified as a “utility” under Title II of the Communications act. Wide-spread apathy: More than half of Americans don’t care either way. The most surprising finding of this survey was how many respondents replied that they don’t care one way or the other about the issue. While many commentators have hailed the FCC’s move as a historical David vs. Goliath win, from our results it seems as though a large portion of the population is still unconcerned about Net neutrality. A fascinating finding showed that the individuals earning more than $100,000.00 annually fell into the “In Favor” and “Against” camps. Of those earning between $100,000 and $150,000/year, only 20.4% answered that they did not care. Of those earning $150,000+/year, only 14.3% answered that they don’t care. Both high-earning groups leaned strongly towards the “In Favor” group, at 56% for the $100,000 – $150,000/year and an astonishing 78.6% for the $150,000+/year group. The youngest two age groups were most in favor of Net neutrality, but the 24-34 year old age group was significantly more likely to answer positively than any other age group, with 35% claiming that they are “In Favor.” In contrast, the group just above them, aged 35-45, were most likely to say they were “Against”, with 21% of that group answering negatively. It makes sense than the younger generation would be most interested in preserving a free and open internet, and that spike from respondents between the ages of 25-34, out of university and launching their careers, would be the most invested of all. Our research uncovered a surprising gender divide. Only 10% of female respondents said that they were Against, as contrasted with 19% of male respondents. There were significant gender differences across all the responses, however. Of those who said they were “In Favor”, 33% were men, and 21% were female: a 12% gap. And female respondents were the most apathetic. 68% of those who answered that they “Didn’t Care” were women. It’s interesting to see how geography correlated with how respondents replied to the question. People located in the Midwest were the most disinterested: a full 63% of respondents in that part of the country answered that they “Don’t Care.” Those on the west side of the country were most likely to favor Net neutrality: 37% of people in the US West answered that they were“In Favor” of Net neutrality. Respondents living in the South were the most likely to be opponents of regulation: 18% said they were “Against” Net neutrality. The geographical spread makes a lot of sense for several reasons: one, the FCC vote was split along political lines, and the central and south of the country in general trend more conservatively than the coasts. 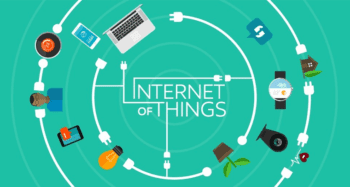 Secondly, the West Coast has been a tech mecca from the earliest days of the Internet of Things. It’s natural that the population is likely to be both informed and engaged on a topic like this. Net neutrality also helps keep the playing field even for entrepreneurs and startups, many of which still get their foot in the door on the West Coast. Why don’t Americans care more about Net neutrality? Teasing out the reasons that so many are indifferent to the concept of Net neutrality is complicated when there are so many factors at play. The first issue could be one of comprehension. 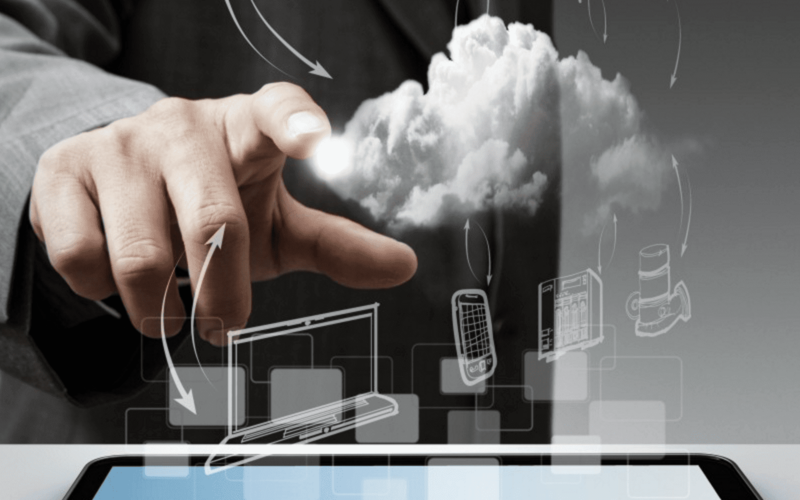 It may be that no matter how simply the concept is explained, anything relating to telecommunications is regarded as too jargon-heavy and technical to be well understood. Another possible explanation is that people are cynical about any regulation regarding big business: much like the flatness effect many citizens have towards politics. They simply see this as a battle of powers above their heads, where their personal opinion doesn’t matter much. It’s also very possible that our general cognitive biases are playing a strong part in how people relate to a highly abstracted and seemingly remote issue like Net neutrality. 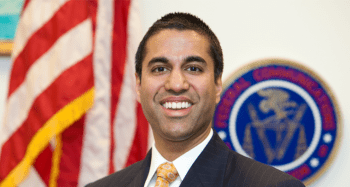 It may be that the story has not been personalized enough, in spite of a rash of viral videos and segments from commentators like John Oliver and Jimmy Kimmel, as well as YouTube stars like Hank Green speaking out about the importance of equal access to broadband and trying to give concrete examples of possible outcomes. People often have a hard time imagining how this type of legislation will actually affect their lives in the long run. If our finding about the public’s general apathy are indicative of the wider population, the odds may still be stacked against Net neutrality. It is clear that there are strong opinions out there: when the FCC opened its website to public comment on the issue, it was flooded with over 4 million messages, most of them in favor of preserving Net neutrality. But last month’s victory is only the beginning of the road. It is nearly certain that congress will fight back, and that the big-name cable companies and broadband providers will launch legal proceedings against the FCC, challenging the legitimacy of these new rules. 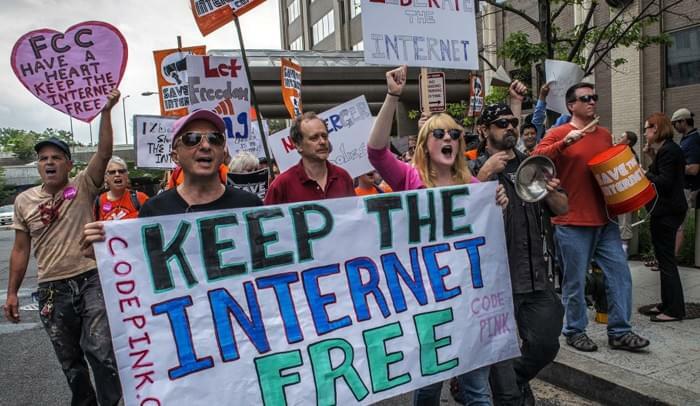 Net neutrality has benefited from direct advocacy from websites like Netflix, Tumblr, Kickstarter, Vimeo, Reddit, and widespread campaigns by activist groups and websites like https://www.fightforthefuture.org/, http://www.savetheinternet.com/, https://www.battleforthenet.com/, and http://www.theopeninter.net. Even the ACLU weighed in, saying “Network neutrality is a consumer issue, but it is also one of the foremost free speech issues of our times.” If (as our survey has suggested) in spite of this activist outreach, a majority of Americans do not care about Net neutrality, it’s possible that the open Internet could someday become a thing of the past. GetVoIP surveyed a total of 2014 Americans via Google Consumer Survey Tool from February 26-28th, 2015. Those who participated were asked the question: Are You In Favor of or Against Net Neutrality? Respondents were given “In Favor of”, “Against”, and “Don’t Care Either Way” response options. Google gathers responses by requesting answers in exchange for access to premium content.